Last September, Bob and I bid farewell to the single family home where our daughter Melissa had grown from a shy first-grader to a confident, college co-ed. New adventures awaited in a smaller house a mere ten minutes away, where picturesque, tree-lined streets and welcoming neighbors made us feel right at home. 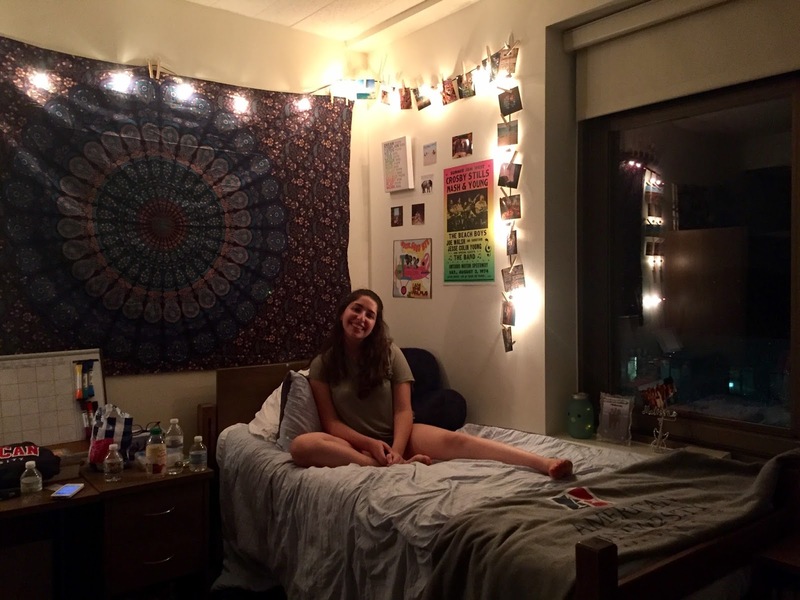 Bob and I unpacked and settled right in, but Melissa, a freshman at American University located three hours away, felt more comfortable and at ease in her college dorm than the place where her parents now called home. I often walked into her bedroom, where our kitty cat curled up on the brand new comforter that lay on the hardly slept in bed. Unlike the room in the house we had just sold, this room's bare walls lacked the dozens of posters that defined her childhood. The carpet did not play host to piles of dirty clothes and at least six or seven half finished water bottles. No guitar sat in the corner, waiting for my talented daughter to express herself through song. No sounds of laughter echoed down the hallway. No little girl snuggled under the covers, eagerly listening to me to read a story, and begging for one more kiss goodnight. I missed her terribly, but found distraction in the comfort of home. We bought new furniture, hung photos, installed a new sound system for the big screen TV (a mandatory request from Bob), and enjoyed cozy evenings together as the weather grew colder. For Melissa, the first semester passed with all of the adventures and anxiety one would expect from a college freshman. Finally, as December blew in, she packed up her things and headed back home for winter break..... to our home, not her's. Although it took less than a day for the dirty clothes and water bottles to once again cover the floor, she still had trouble embracing these new walls as her own. Especially because she knew that her stay would be temporary. Indeed, the holiday festivities came and went. She returned for a new semester, leaving her mommy behind to face the long, cold, winter months without those late night sessions where we talked for hours about friends, family, hopes, dreams, and of course....boys. Not a day passed where we didn't talk, but still, I counted the weeks until the semester's end, when my baby would return for the long summer months. Sure enough, on a sun-drenched day in the middle of May, Melissa and I strategically forced clothes, sheets, blankets, pillows, posters, storage containers, toiletries, towels, and yes, her guitar into every last nook and cranny of the car and headed away from the college campus towards the home that I hoped she would soon embrace as her own. Before long, the guitar took it's rightful place in the corner, the clothes littered the floor, empty water bottles covered the desk, and the cat curled up next to his favorite human who happily shared her bed with him each night. Evenings were spent taking long walks in our new neighborhood, where we resumed our deep conversations about all aspects of her life, and mine. She also grew closer to Bob, even consenting to laugh at his jokes instead of the typical rolling of the eyes. 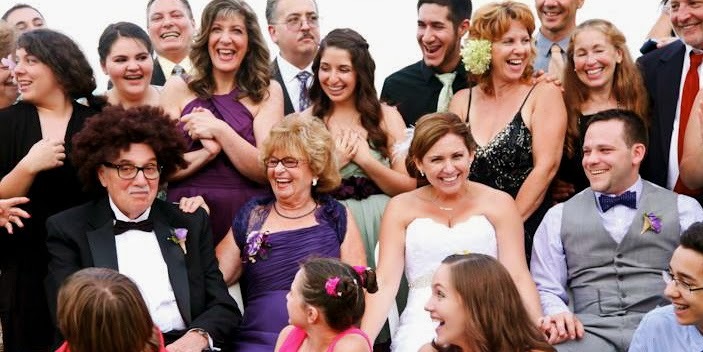 Her presence filled the house, as our tight-knit family shared laughter, love, and unexpected loss as we mourned the death of my mother who passed away in July. Yes, these walls had finally, truly become her home. Yet, all too soon, sophomore year beckoned, drawing my cherub back to Washington, D.C. I thought saying goodbye again would get easier the second time around. With a sigh I threw away the last of the half-finished water bottles that remained on her now clean bedroom floor. The cat looked at me with confusion in his eyes, as if I were to blame for the empty bed. Bob and I will undoubtedly go back to our routine, once again enjoying warm, cozy nights cuddled together as summer's warmth gives way to the crisp autumn air. And I'll be counting the days to December, when Melissa says goodbye to school and comes back home.....to my home, her home, our home. Melissa in her college dorm, ready to start sophomore year.